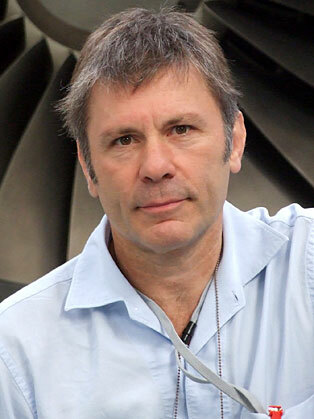 Bruce Dickinson is a charismatic and unique speaker at any business event. As an entrepreneur, creative business thinker, commercial pilot and brewmaster, in addition, of course, to being the lead singer of Iron Maiden, he is a true renaissance man. Bruce is the man behind Cardiff Aviation, which specialises in heavy maintenance of Airbus and Boeing commercial aircraft and the training of pilots. His passion for aviation keeps him flying a variety of aircraft, amongst his other ventures. Bruce delivers world class speeches to corporations around the globe. He compares the challenges of operating in the world of rock music and commercial aviation with those in the business world; from teamwork, forward planning and the ability to learn from setbacks and move on successfully. He focuses on turning customers into fans – with information going viral all the time, which speaks volumes for business, with customers being loyal to a brand. Bruce enjoys the thrill of creativity and refreshes this spark in audiences across a range of business topics. The need to be agile and flexible in business planning with an ability to seize an unexpected opportunity. The ups and downs of business and the sometimes hard lessons that have been learnt. Team building experiences focused around his flight simulator. The parallels between his music and business careers. The feedback we got was some of the best ever at our annual conference. Our team found Bruce fun with an easy-going style. The buzz afterwards was all about Bruce – really motivational stuff! Bruce demystifies the ambiguous world of creativity in a business context and makes you believe in hard work and thinking differently paying off so that everyone can fulfil their potential. Our Board members and staff alike were wowed by Bruce’s message, powerfully delivered. They went away looking forward to creating a fresh approach to client relationships.